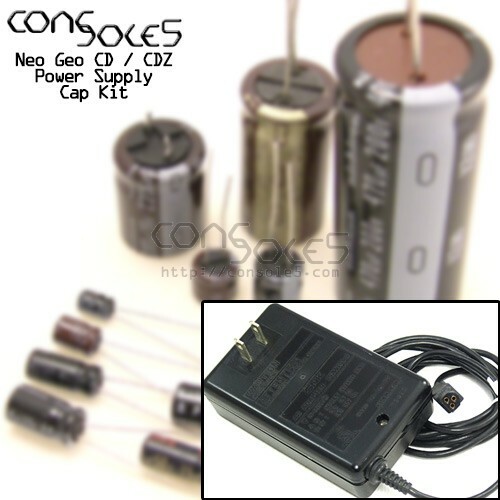 Cap kit for POWCD and POWCD-J Neo CD power supplies. 2018: These kits now include a replacment MOV and fuse! These supplies are used for both front and top loading Neo Geo CD systems and CDZ systems. For capacitor lists, please see our POWCD wiki page.